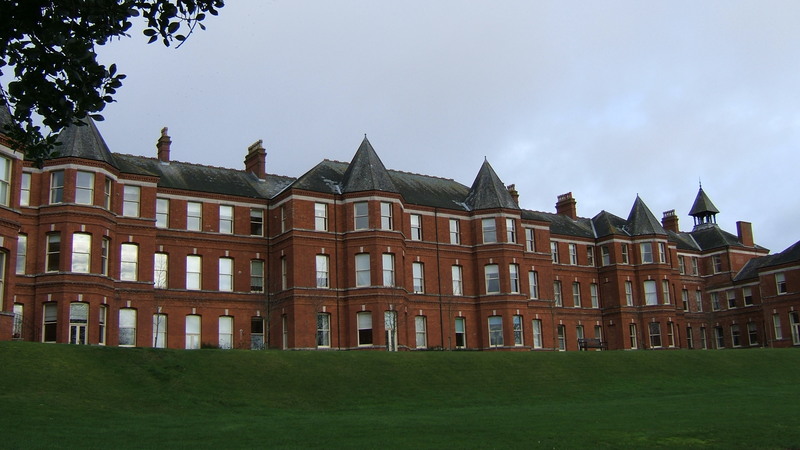 Prior to the opening of the Charminster Asylum (later Herrison Hospital) in 1863, Dorset had already had over 30 years experience of providing a county asylum through its’ premises at Forston House, nearby. 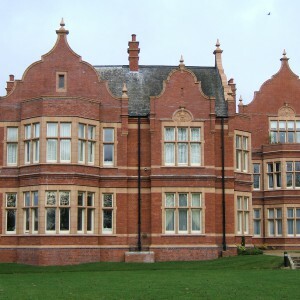 Forston had been adapted from an existing private residence much extended but had long been considered unsuitable for its purpose. 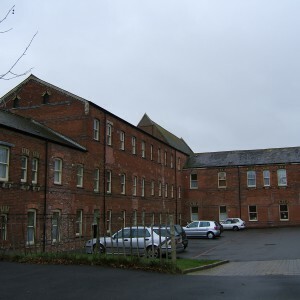 After consideration a site a short distance to the east of the existing asylum was selected for development of the new complex although Forston was to remain in use. 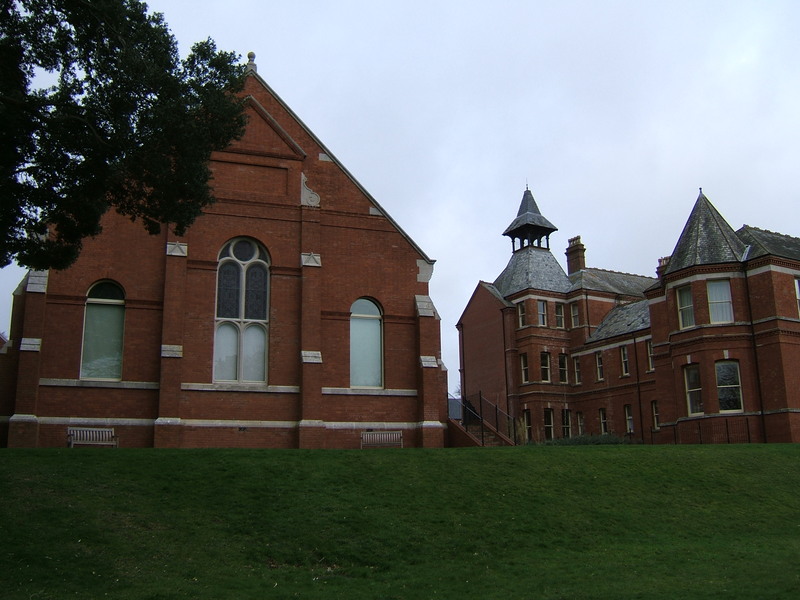 Plans for the new asylum consisted of the corridor plan typically used in the design of county asylums at that time and were developed by the competition winning design by architect Henry Edward Kendall Jr., whose previous work had included the Sussex County Asylum at Haywards Heath, to a similar plan. 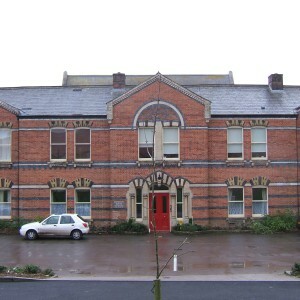 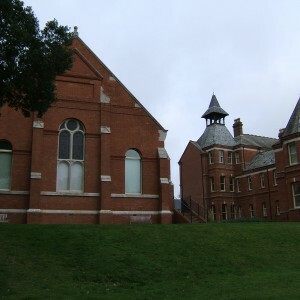 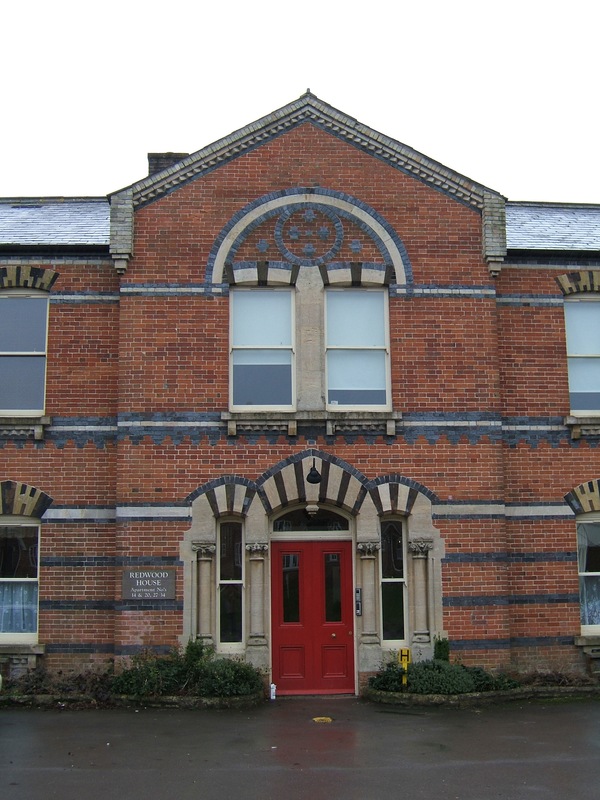 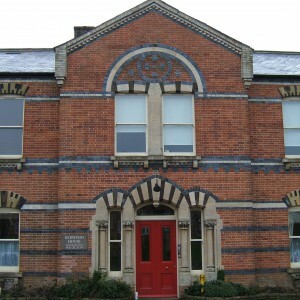 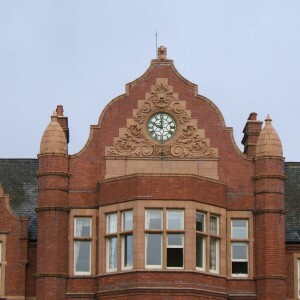 The asylum was designed with decorative polychrome brickwork as at Haywards Heath but in this case built predominantly from red brick rather than yellow brick. 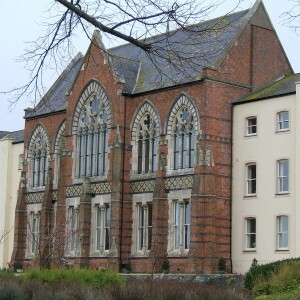 The building was constructed over two to three storeys with a central gothic chapel on the south frontage with a dining hall beneath and ward blocks to either side. 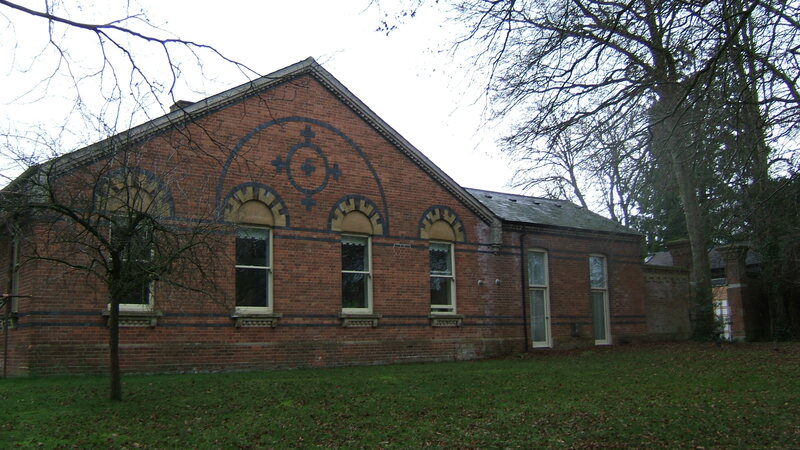 To the north side stood the main entrance block flanked on either side further wards. 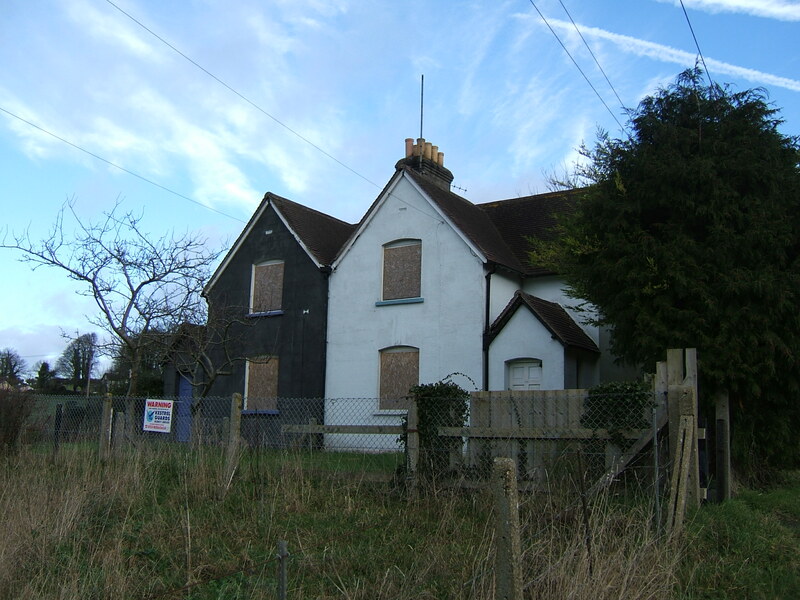 To the west stood the maintenance yard and a home originally constructed for the Superintendent with its own garden. 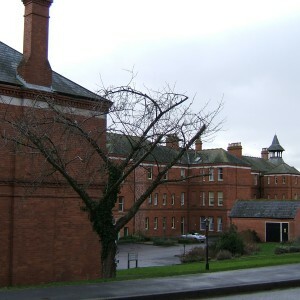 Elsewhere on the estate, a chaplain’s residence was constructed at the foot of the drive to the southwest, with the asylum gasworks placed opposite. 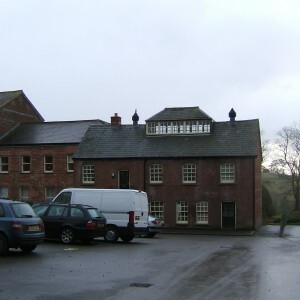 The new asylum farm was developed close to the east gate to provide produce for the asylum along with the pre-existing Herrison Farm on the opposite side of the lane from the main building and existing farm cottages were acquired for staff use. 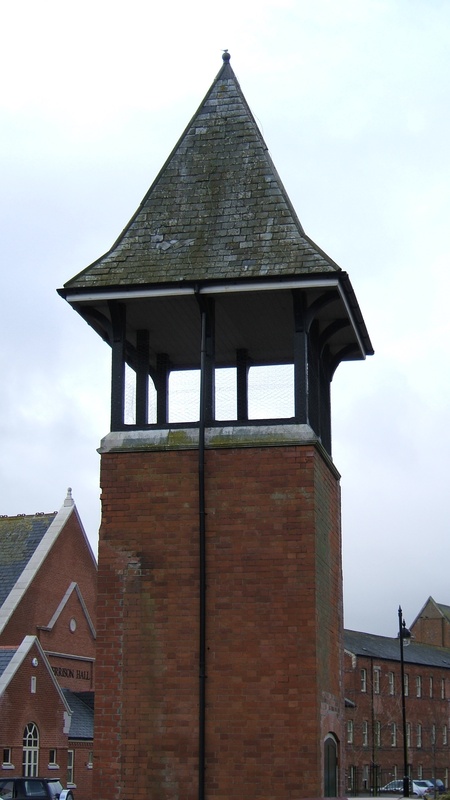 A burial ground for inmates of the asylum not claimed by their relatives was sited close to the east gate and contained a mortuary chapel. 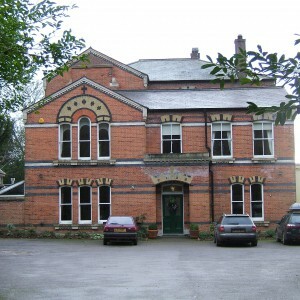 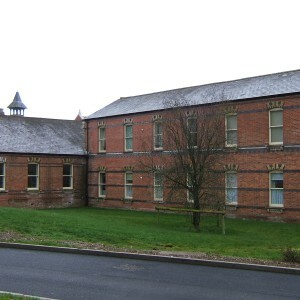 By the 1890’s the practicality of continuing to maintain inmates at both Forston and Charminster Asylums was proving a problem along with the continuing deterioration of the former asylums structure, George Thomas Hine of Nottingham was commissioned to provide a design for an annexe for female inmates to be sited to the east of the existing complex to which it would be joined. 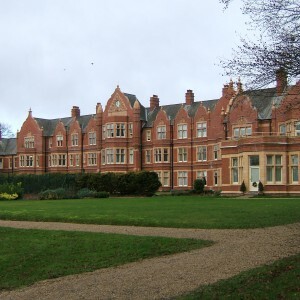 Hine, who was to become the most prolific and successful of all specialist asylum architects was at this point still early in his career but had already completed his first major work at Claybury for the London County Council using a compact arrow or echelon plan, which had revolutionalised asylum design. 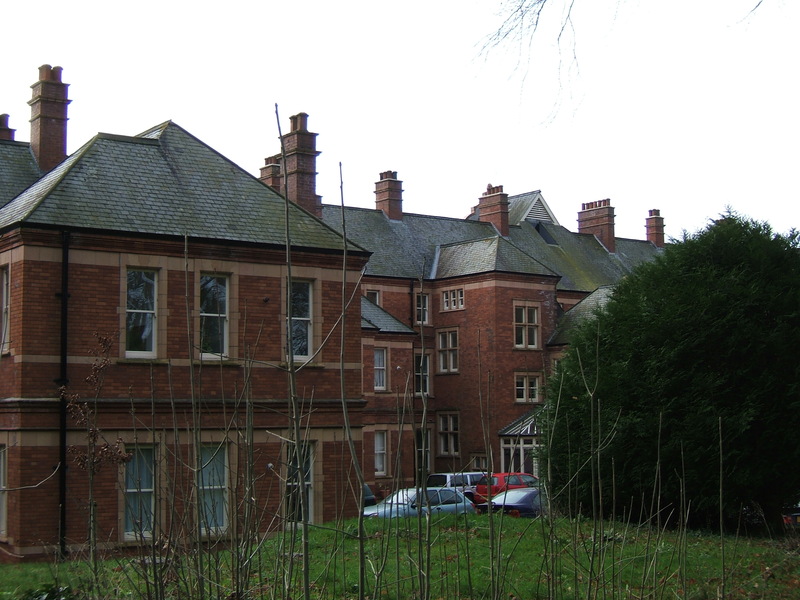 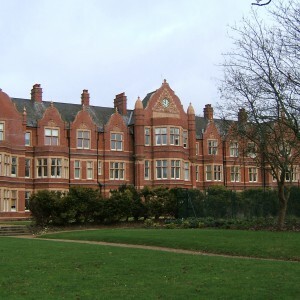 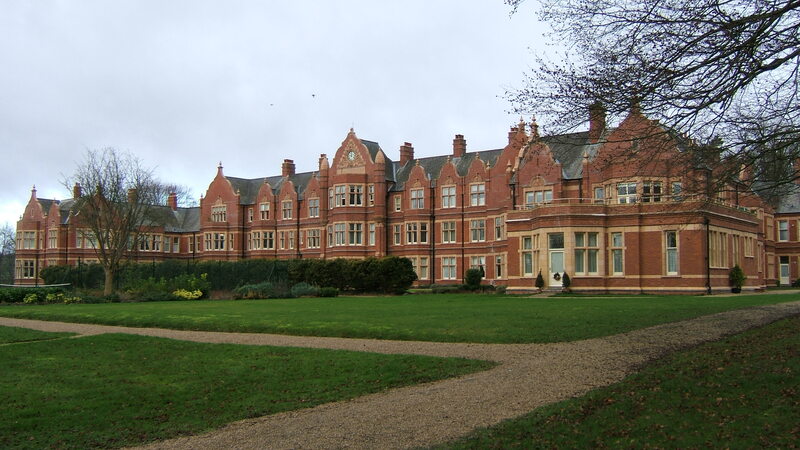 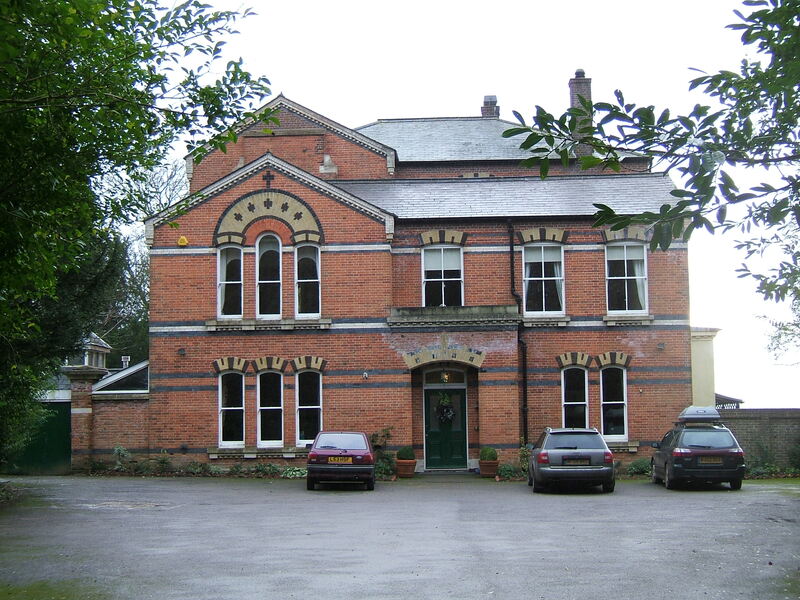 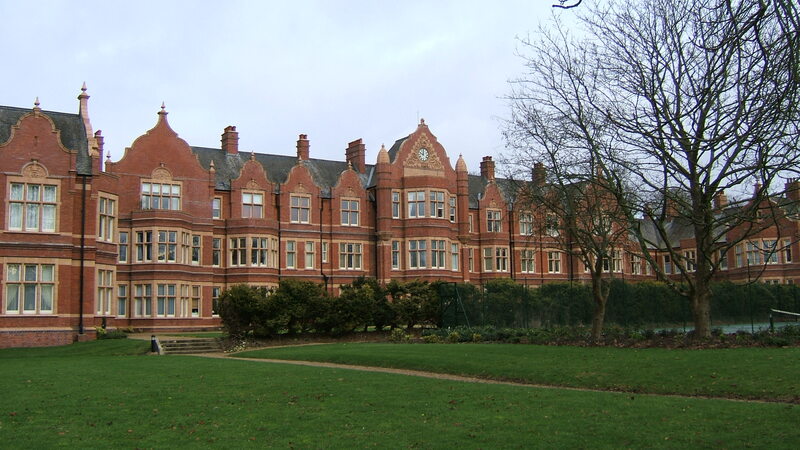 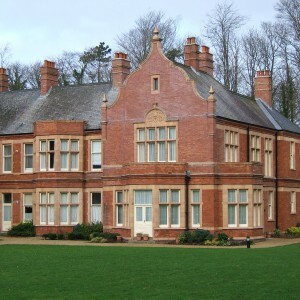 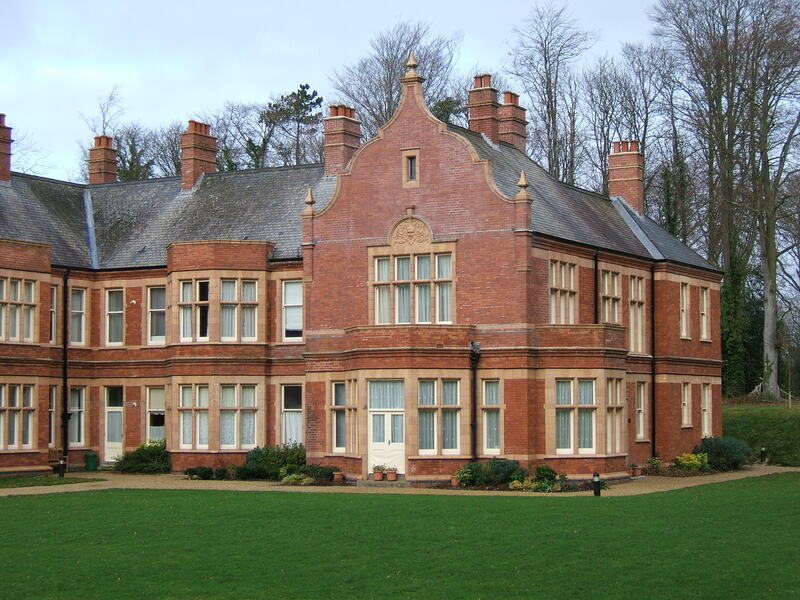 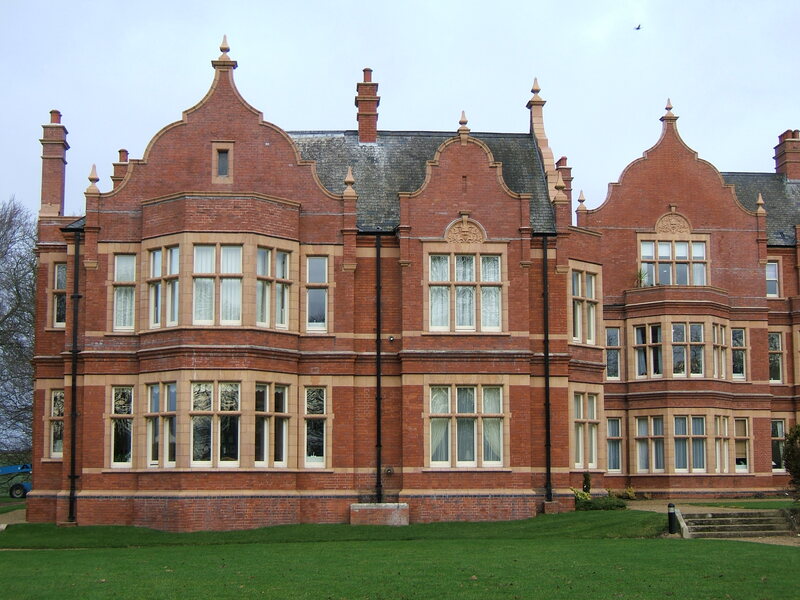 His other commissions to this date had been the Sunderland Asylum at Ryhope and extensions to The Coppice Lunatic Hospital, Nottingham, which had been his father’s work originally. 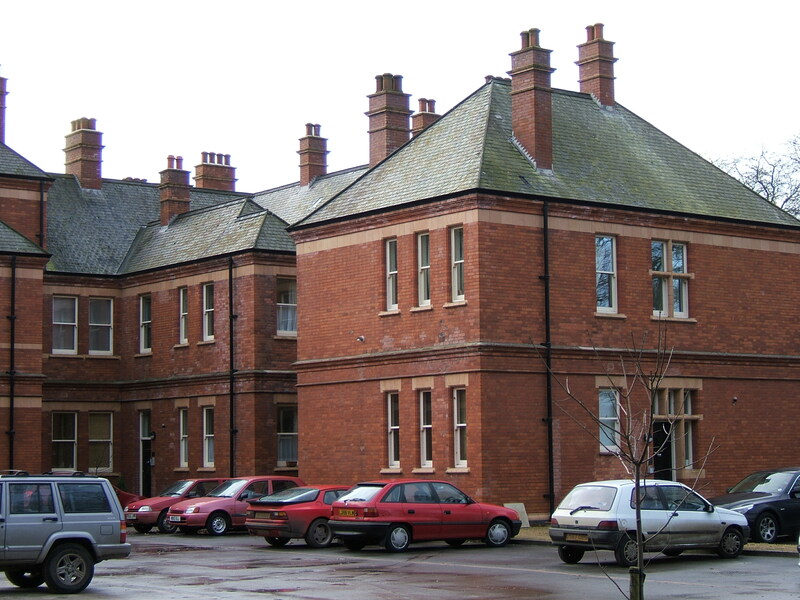 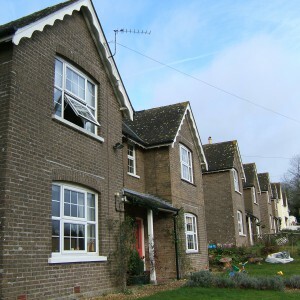 The new annexe was however not constructed to the compact arrow plan unlike Ryhope and Claybury but externally followed the style typical of Hine at this time, using red brick with stone lintels to the uppermost floor and segmental heads with keystones at lower levels. 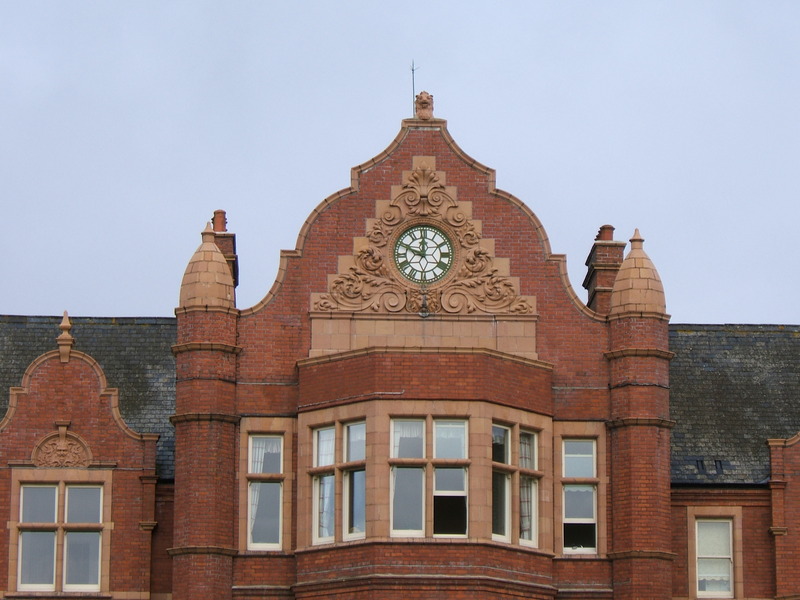 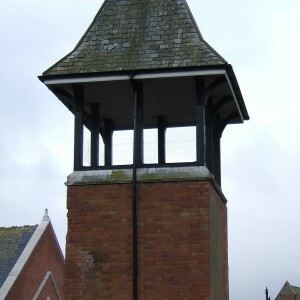 The roofline was formed of a steeply pitched slate covering and distinctive peaked caps above bay windows, Belfry like ventilation turrets were sited at each. 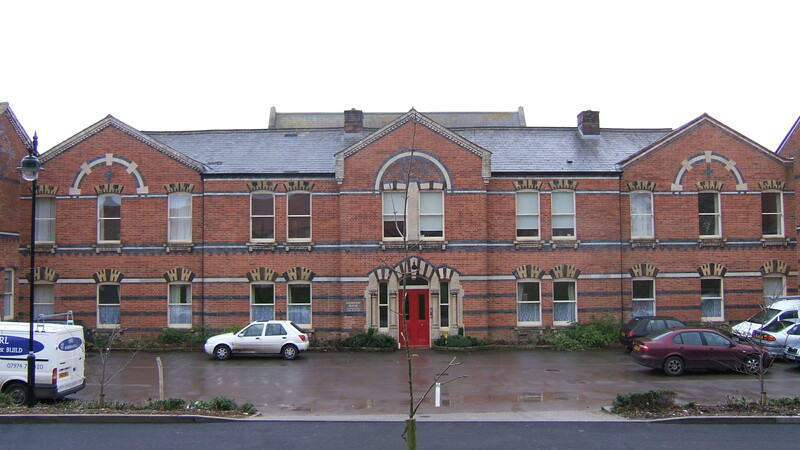 The new annexe was connected to the old by means of a block containing a recreation hall or ballroom to be used and accessible by inmates of both sexes as the old asylum was turned over to male use once the new asylum was complete in 1895-6. 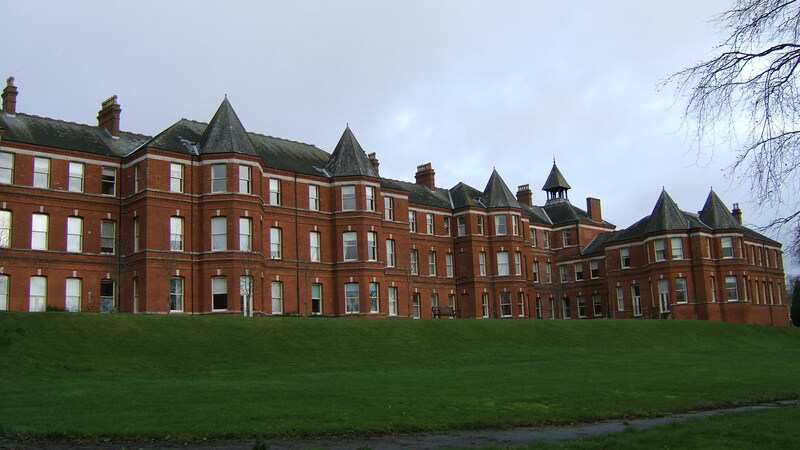 Forston asylum was then closed. 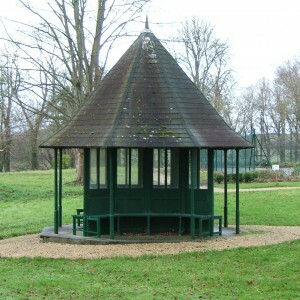 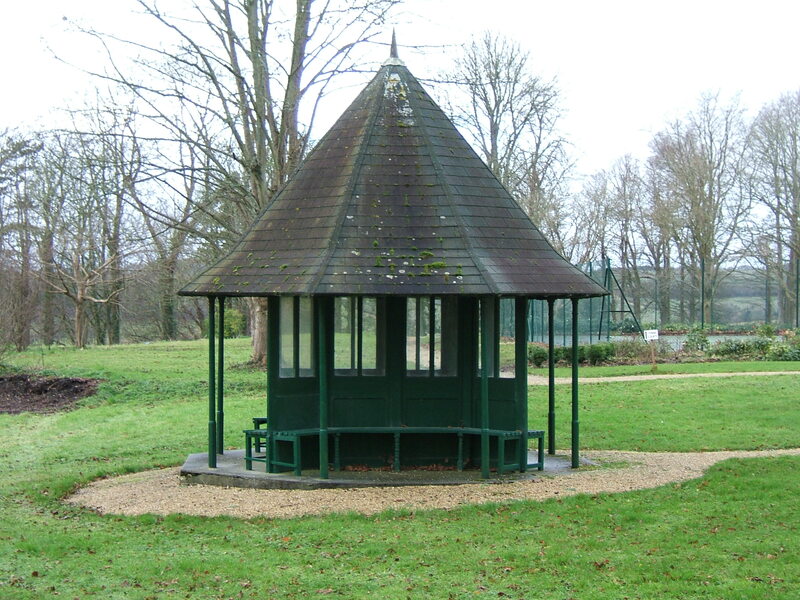 A new detached chapel was also developed adjacent to the burial ground near the east gate of the grounds. 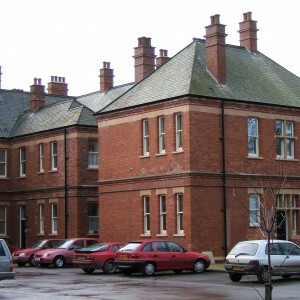 This was constructed in similar style to the other Hine buildings on the complex. 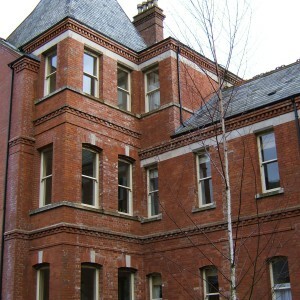 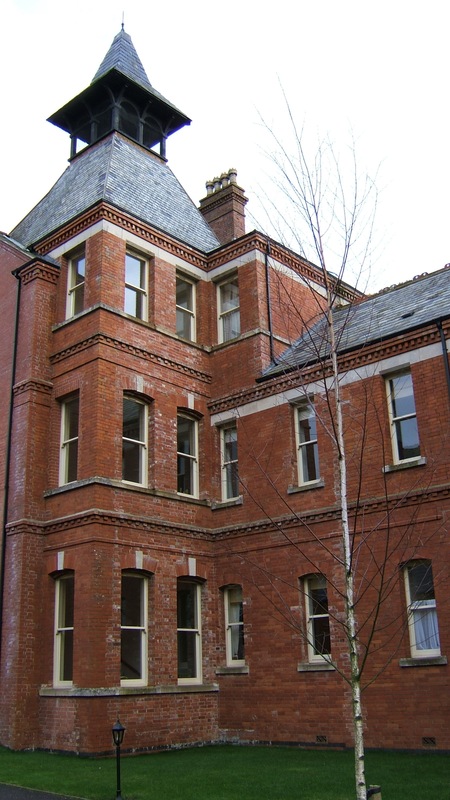 By 1903 Hine was once again involved with developments at the Charminster Asylum as plans were developed or a detached asylum, Herrison House, for private, fee paying patients who wished to reside in greater comfort and class than was available on the pauper wards and had the means to do so. 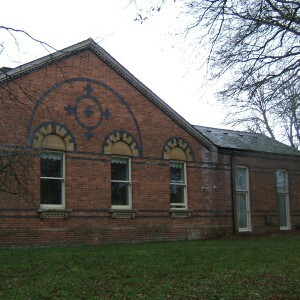 Another building of decorative appearance with terra-cotta dressings was constructed, again not using the echelon plan but more akin to the existing corridor plan buildings at the site. 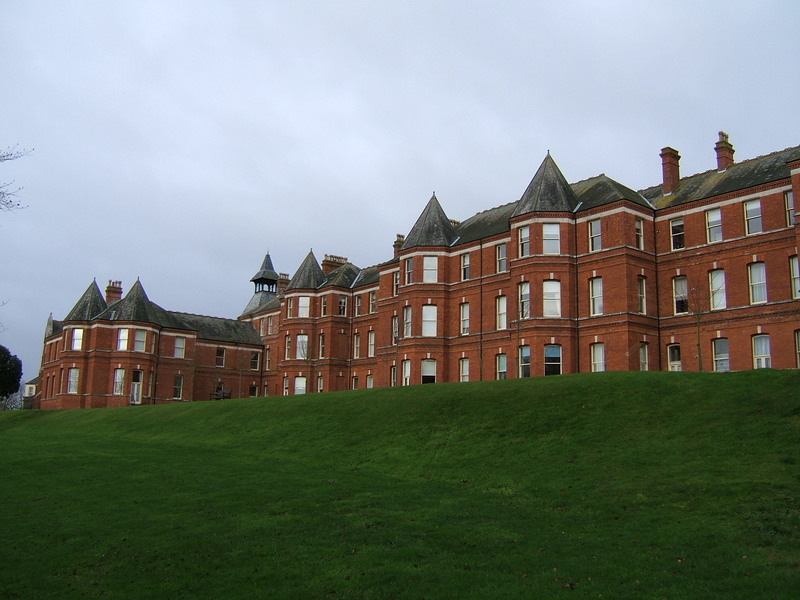 All private patients within the asylum were then transferred into this complex affording them more pleasant surroundings, which included their own airing courts to the south. 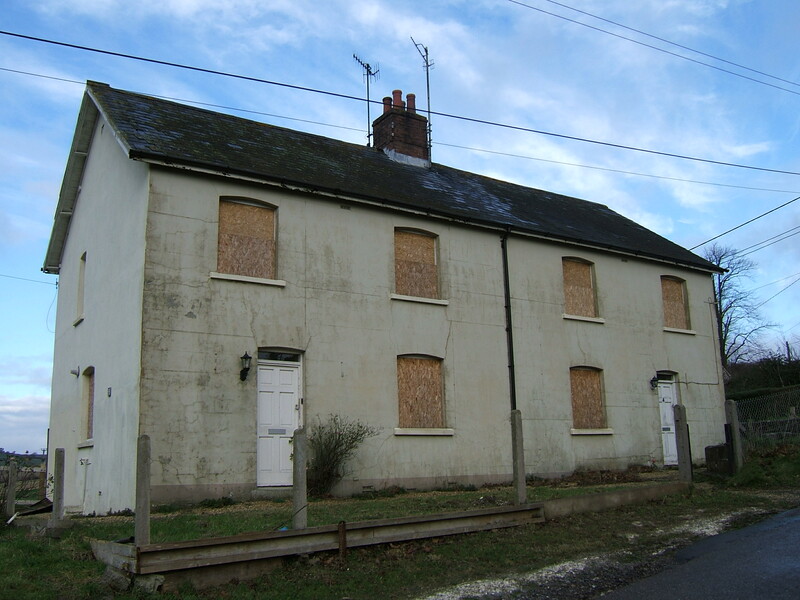 This enabled the use of the vacated space for further pauper occupants from within the county or boarded out at cost from other authorities. 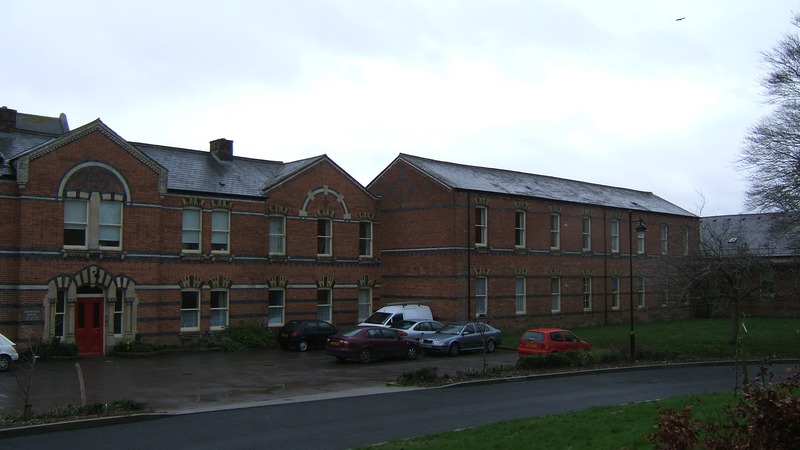 The Great War brought many of the asylums in the south west into a grouping to vacate one of the complexes for military use and included authorities in Cornwall, Devon, Somerset, Bristol and Wiltshire. 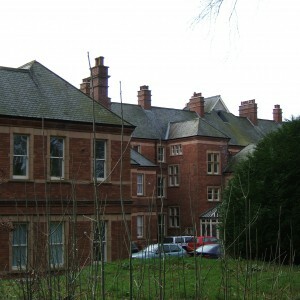 The Bristol asylum at Fishponds was chosen as the vacating asylum and its inmates were transferred to the other receiving hospitals in group 8 including Charminster, resulting in significant overcrowding, made worse by the loss of staff to the war effort. 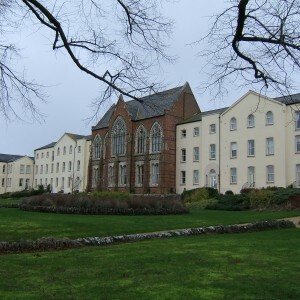 When the Fishponds asylum was handed back to the Bristol Corporation after the war the Bristol inmates were returned. 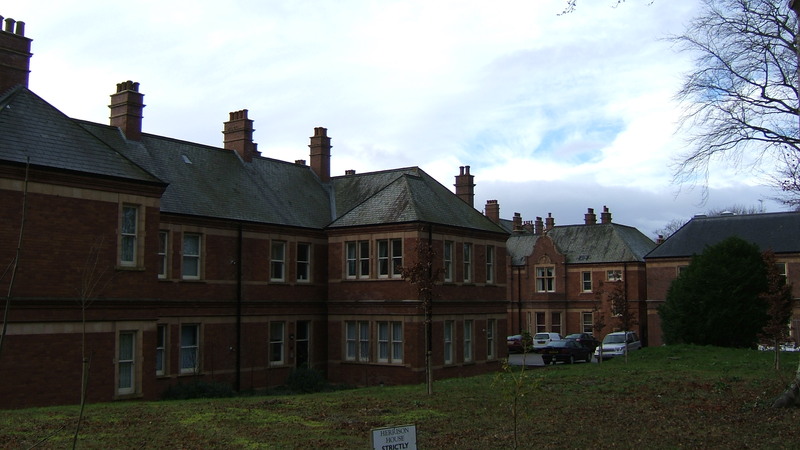 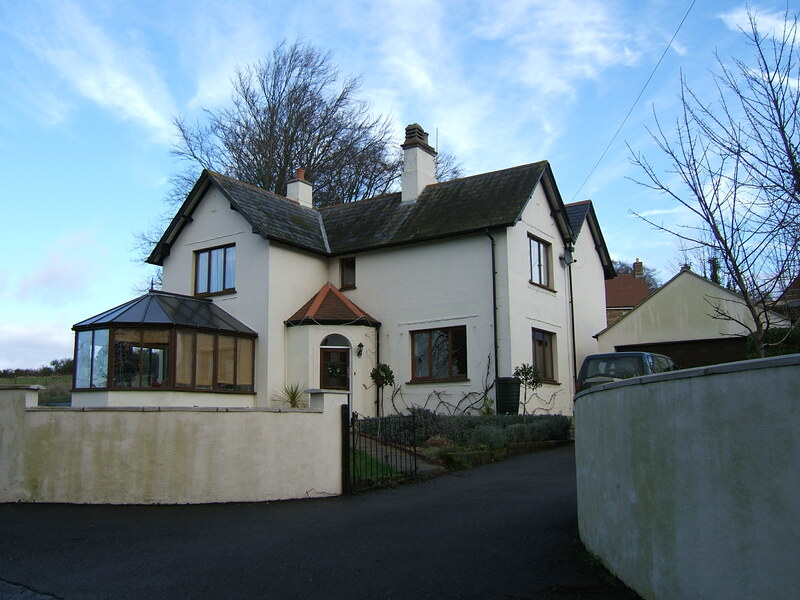 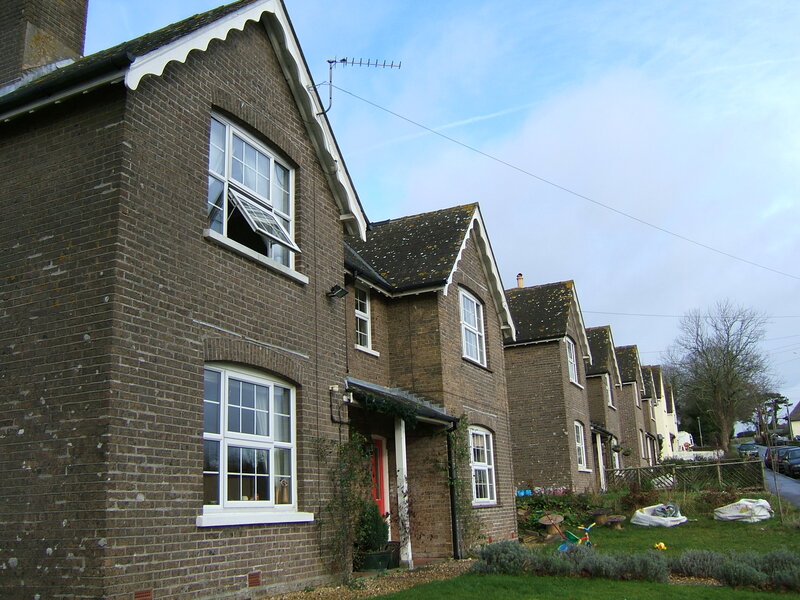 The interwar period did not result in any further major patient accommodation being constructed, however a new residence for the superintendent was constructed before 1929 along with cottages for married attendants on the lane outside the east gate. 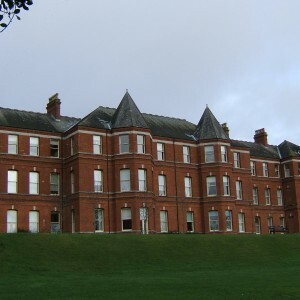 The new superintendent’s house, known as Foxbrake replaced the original residence to the west of the original wing, which was put to patient use, known as Summerhill. 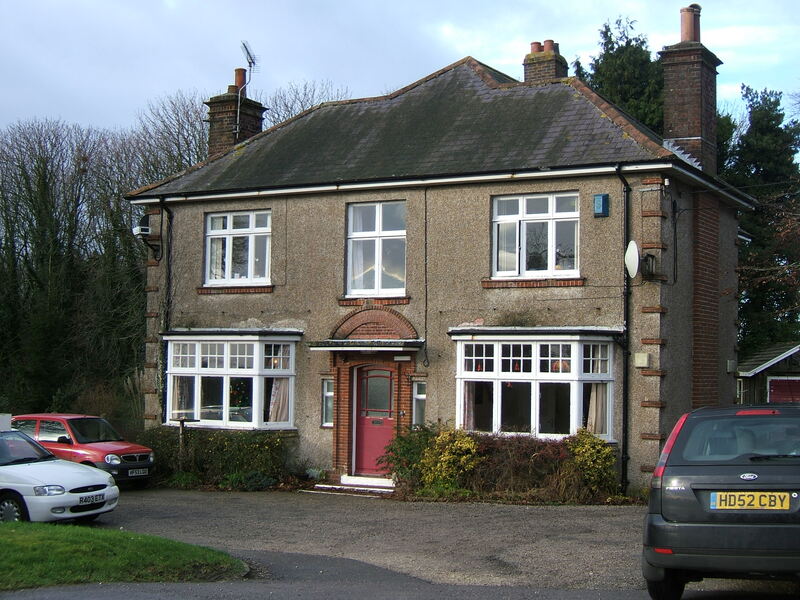 A new nurse’s home, built in 1938 enabled female nurses to vacate rooms that they had formerly occupied on the wards. 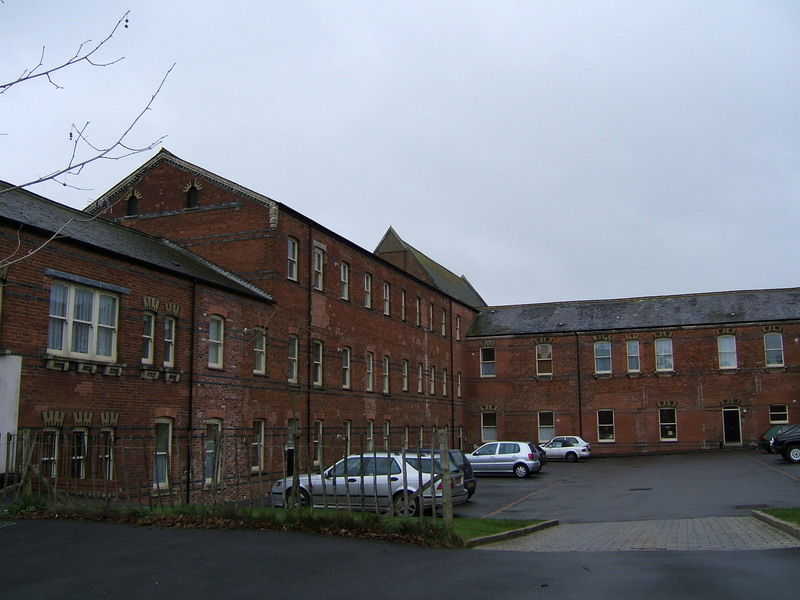 The new home was developed between the female wing and the farm complex and comprised of three wings arranged to maximise space and light between each section and accessed from a grand entrance in the central hub which gave access to each wing. 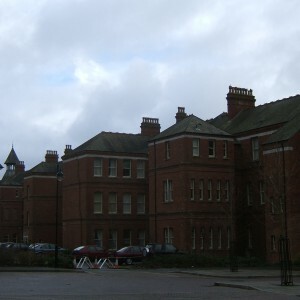 The whole site was subsequently renamed Herrison Hospital, after the private wing and farm, to distance itself from its grim, pauper associations. 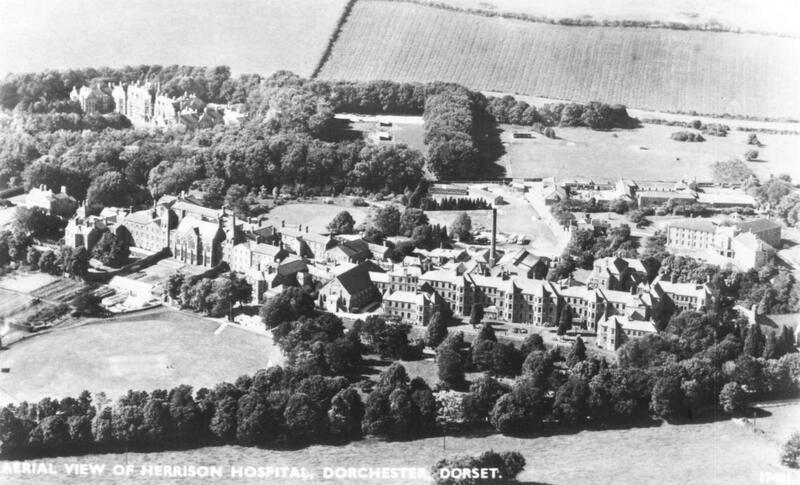 World War II stopped any further development at the site and the inauguration of the National Health Service afterwards resulted in the property being passed over from the Dorset County Council to the new Herrison Hospital (Dorchester) Hospital management committee. 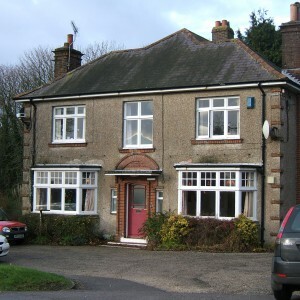 Initially this formed a constituent of the South Western Regional Hospital Board which extended across south west London and Hampshire , but from 1958-9 the HMC was subsequently transferred into the newly formed Wessex Regional Health Board. 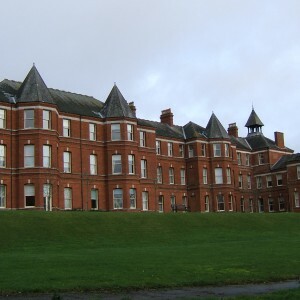 Herrison was at this time administratively linked to St. Ann’s Hospital at Canford Cliffs which had previously been owned and used by the Royal Holloway Institution at Virginia Water as a seaside retreat and convalescent home but after being taken on by the NHS had developed its own services and catchment area. 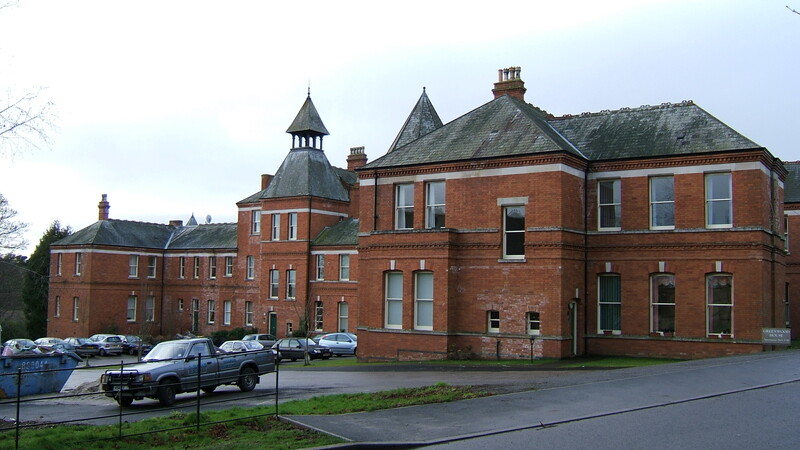 During this period the Forston Clinic was opened at Herrison as an admissions hospital to the north east of the main buildings on what had formerly been farmland. 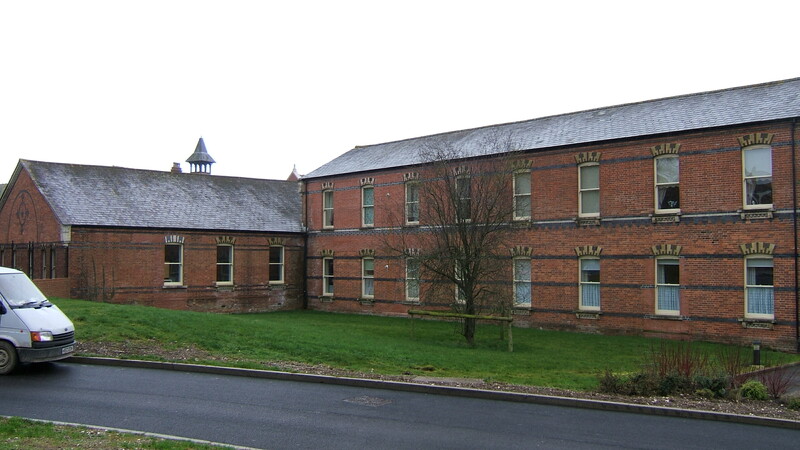 Further staff housing was also constructed nearby to augment the existing accommodation at the hospital. 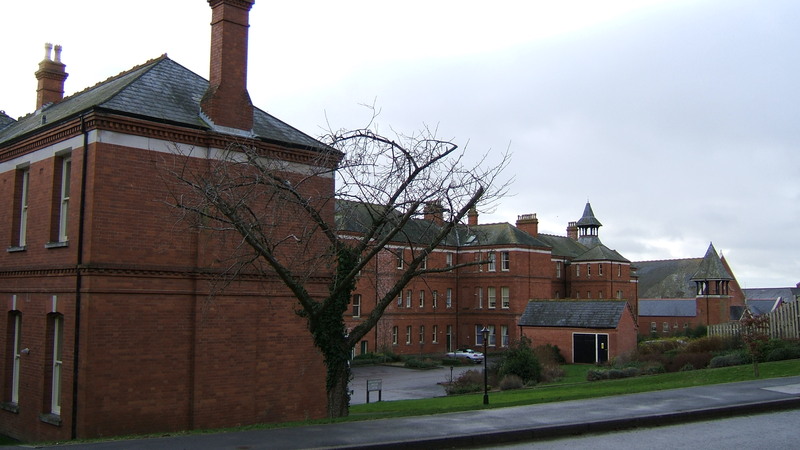 Further reorganisation of the NHS administrative structures occurred in line with the local government reorganisations and resulted in the formation of area health authorities in 1974. 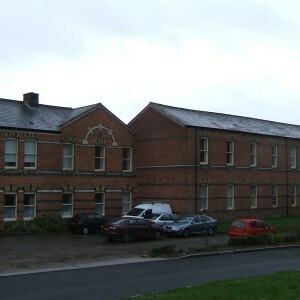 The Regional Health Boards were also to be replaced by Regional Health Authorities, and Herrison was transferred to the West Dorset AHA whilst St. Ann’s transferred to East Dorset. 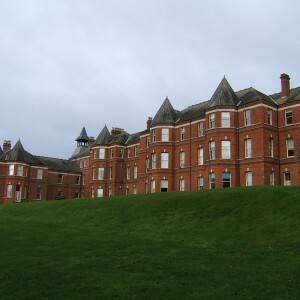 At this time, the capacity of the hospital as being steadily reduced as psychotropic medications were becoming a first line of treatment resulting in long stay patients numbers being reduced and new long stay admissions avoided. 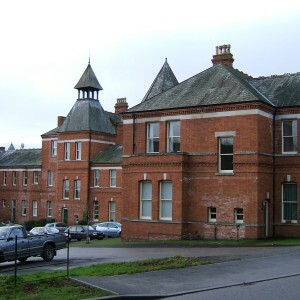 By 1988 the hospital had been identified for closure by 1995 along with others in the Wessex region at Old Manor, Knowle, Whitecroft and St. James’ and by 1990 the inpatient population had dropped to just over 260 patients, with much of the hospital remaining empty. 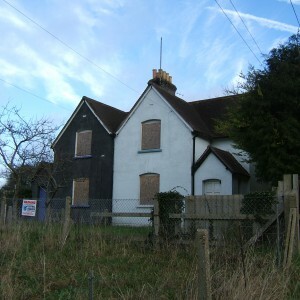 The hospital closed in 1992 and remained vacant for some time before being sold for redevelopment as a residential complex ,which has been named Charlton Down. 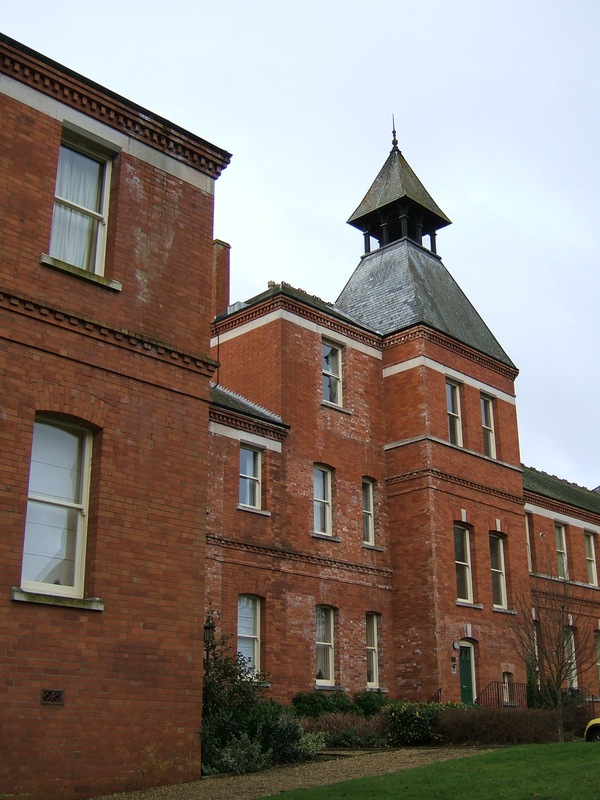 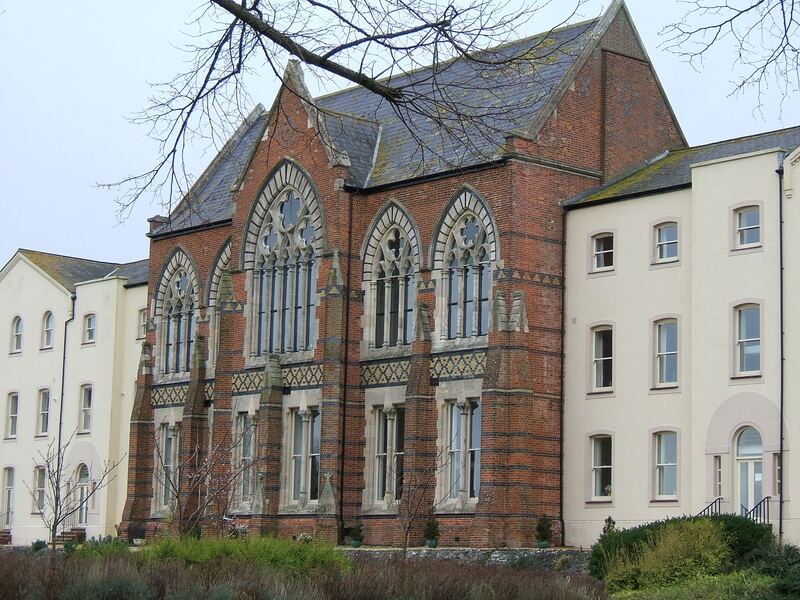 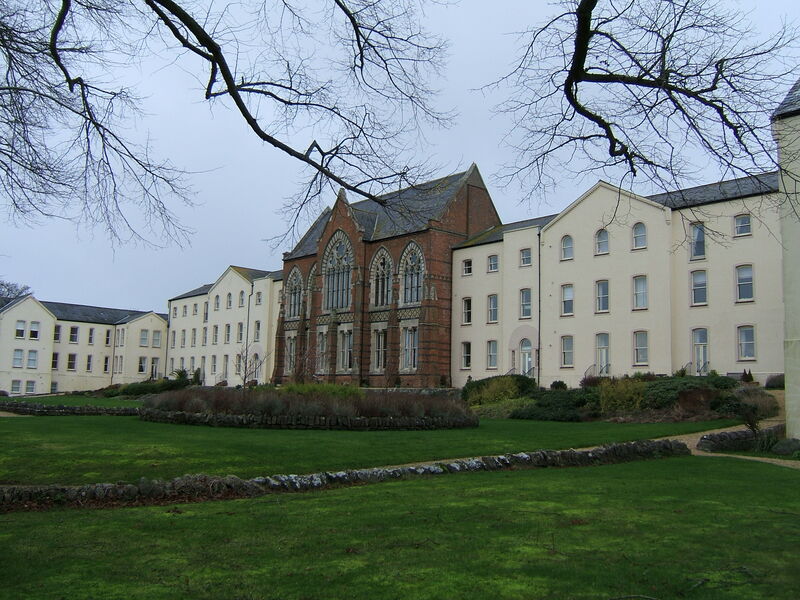 The residential development of the main hospital resulted in the retention and conversion of the original 1863 building and summerhill, the former female annexe and recreation hall, the detached chapel and the Herrison House block. 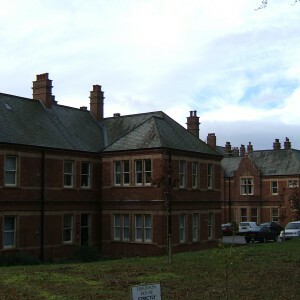 Open ground around the principal frontages of these structures was maintained for community use and utilitarian areas were demolished and replaced by new housing including the Nurse’s home and hospital farm. 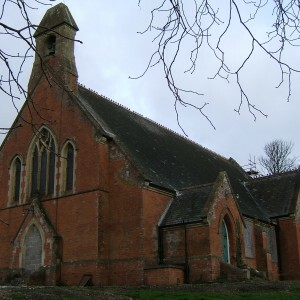 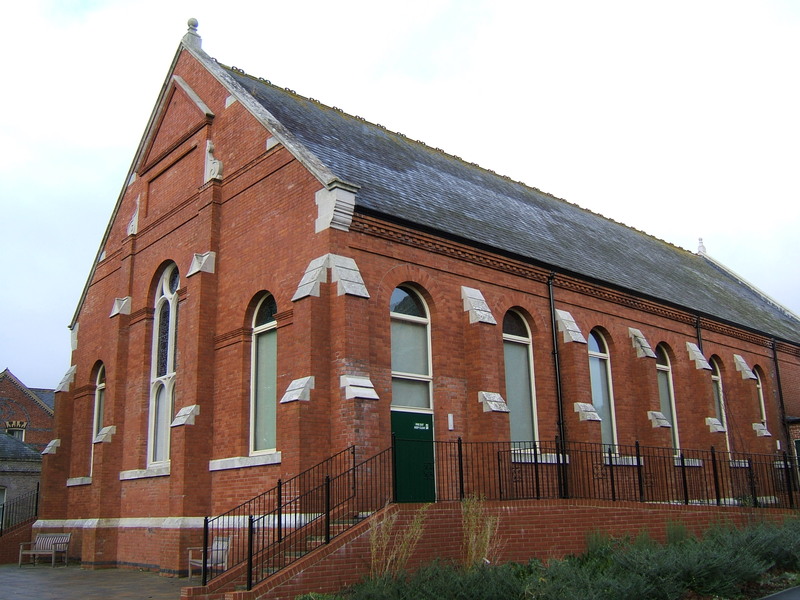 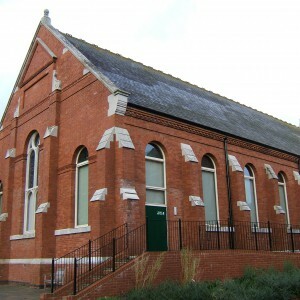 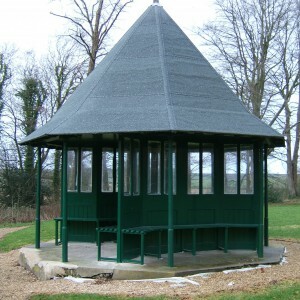 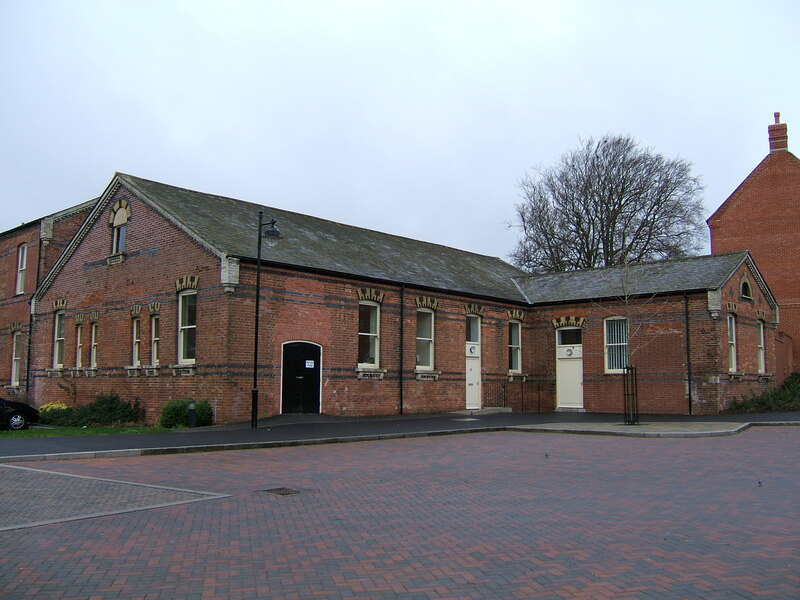 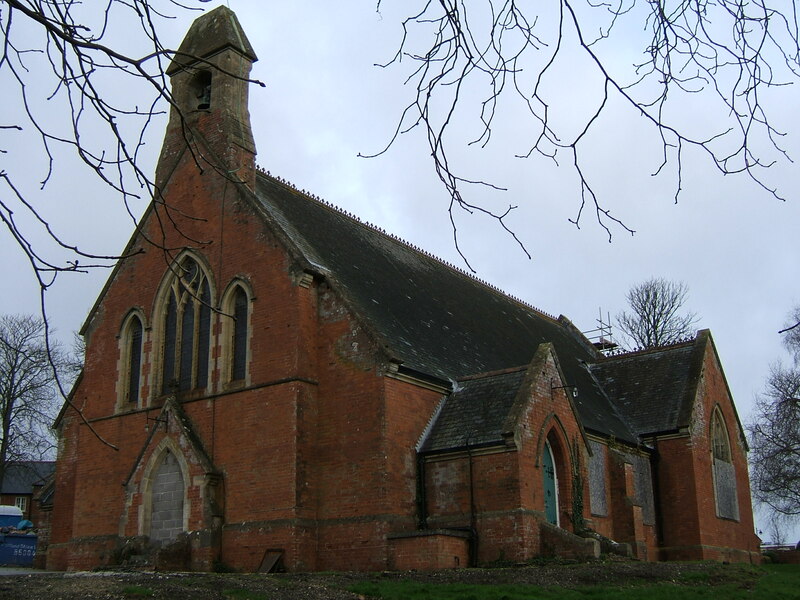 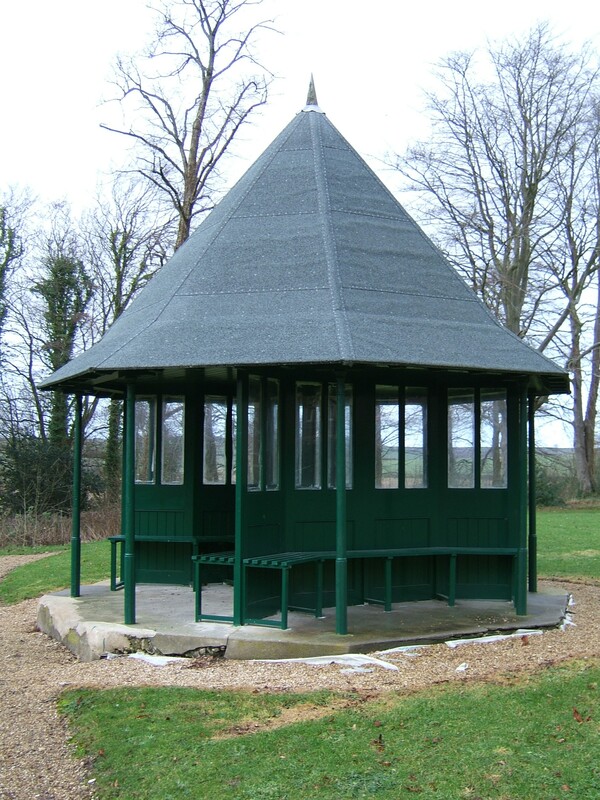 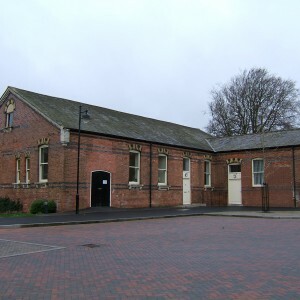 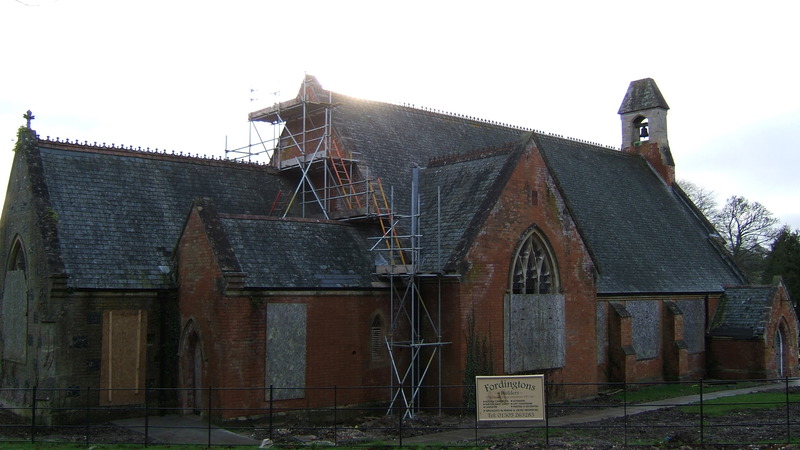 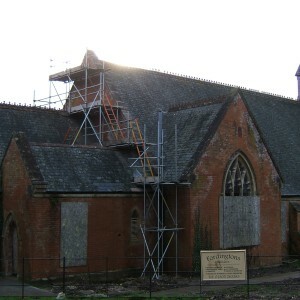 The detached chapel and recreation hall were also retained., the latter being restored and extended as a community facility. 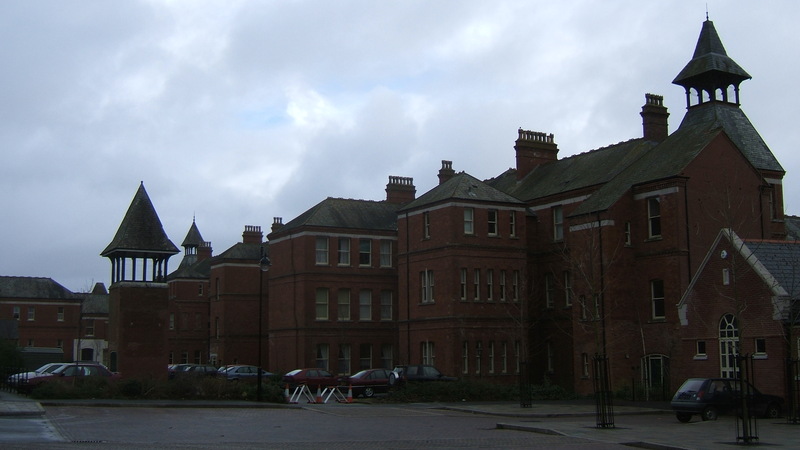 The Forston Clinic and Foxbrake remain in NHS ownership and use and the neighbouring housing has largely been sold to private occupiers. 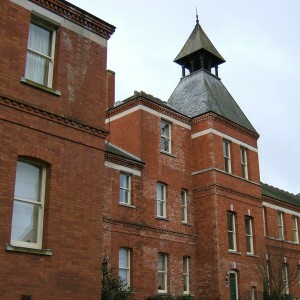 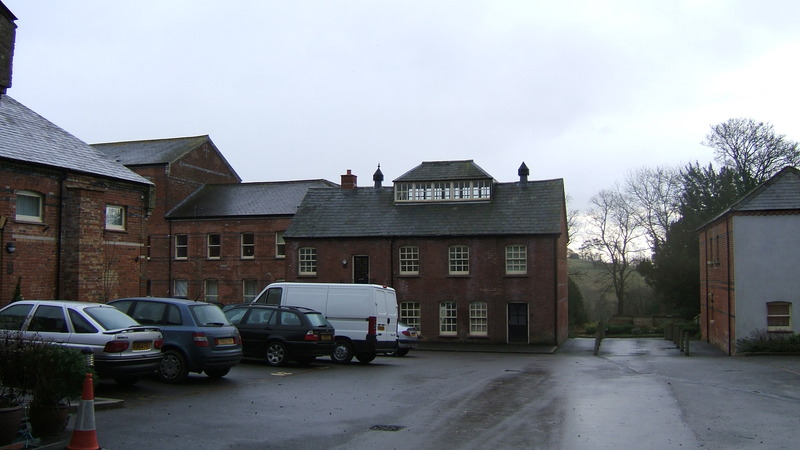 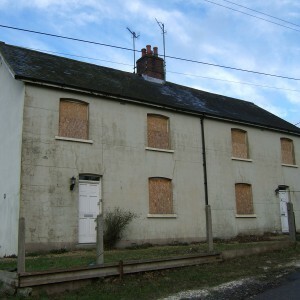 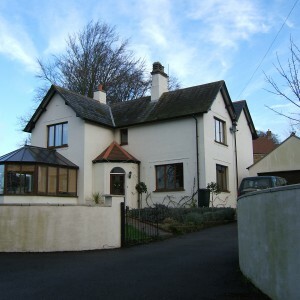 The original Herrison Farm, later Lower farm and adjacent cottages remained secured for many years after closure of the hospital but most have since been redeveloped after the area was sold in 2009.